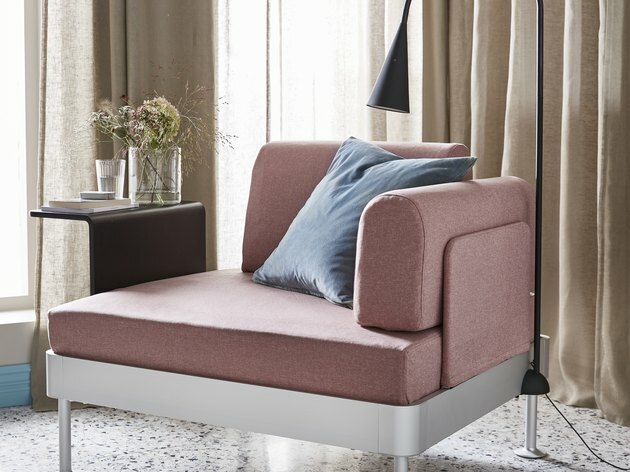 We'll give you the lowdown: Last year, IKEA's line with British designer Tom Dixon called Delaktig launched with a customizable sofa. This February, that line will expand with a similarly customizable queen bed frame. 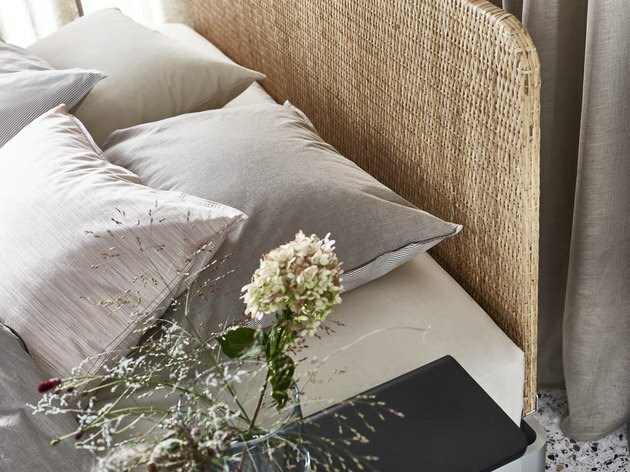 It allows you to add accompanying accessories like a mattress, lighting, side table, and headboard (in rattan or black) to suit you. 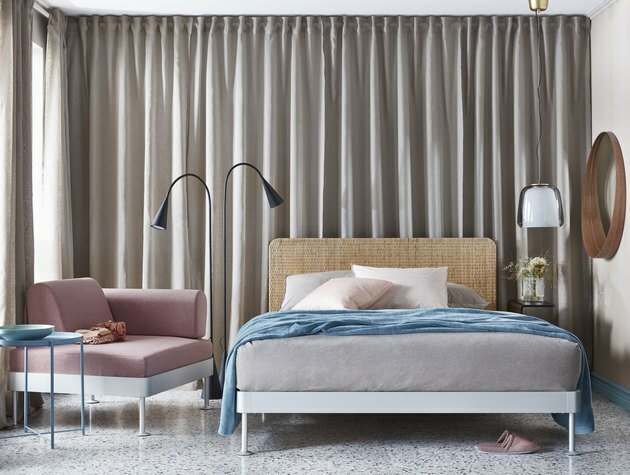 "I'm fascinated by the bed as a kind of primary unit that everybody needs," Dixon said. "It's essential; we spend more time in contact with our beds than with any other piece of furniture. So why not make it do more?" And do more this bed does. It's made of 50 percent recycled aluminum and is lightweight yet durable. Plus, of course, it's affordable, at only $449 for the frame plus headboard. The Delaktig collection's original item — the customizable sofa — is getting an update, too, with new covers to be released in February. They'll be available in three colors — dusty pink, soft beige, and stone gray — and offer resistance against abrasion and color fading. February can't come soon enough, if you ask us.